The November IGDA gathering at the Helsinki Hub was a non-commercial celebration. There wasn’t a specific agenda for the evening so developers had time to meet with friends and relax while discussing their plans for the year that is rapidly reaching its conclusion. The first press screening was arranged earlier in the day prior to the IGDA Gathering. The Name of the Game premiered on November 23. In addition to the Hollywood bigwigs, a wig of another kind also graced the event with their presence: IGDA Women In Gaming (WIG) was among the attendees joining the gathering, as they have done many times in the past. 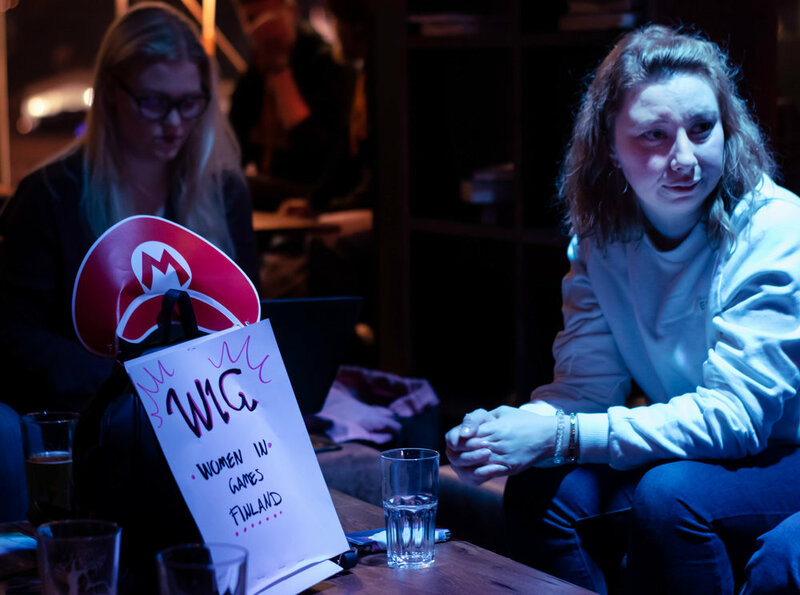 Its main goal is to build a support network for women in the industry and the group recently reached the milestone of 1000 members in Finland. Stone is a story driven ‘stoner noir’ game developed by Convict Games. The player assumes the role of a hungover koala detective in a colourful society of anthropomorphic Australian fauna. The game draws inspiration from pieces of media of the same genre such as Fear and Loathing in Las Vegas and The Big Lebowski. Chopball is a competitive multiplayer party sports game, currently in development by a studio that is tentatively calling itself Kanto Games. The gameplay combines elements of soccer and pinball while introducing a few interesting twists, such as breakable defenses in front of the goals. The game has been in development for a couple of months and aims for release in late 2019 as the studio’s first title.